Tommy Lee and Motley Crue are to play their last ever tour, and this will be absolutely, definitively, legally their last ever tour. The band have become the first ever band to sign a legally-binding Cessation of Touring agreement to prevent future, unauthorised touring. The tour is set to last two years, beginning in the US in July before, eventually, heading our way. No UK dates are confirmed yet, but we may have to wait until 2015 before we get chance to see the Tommy and his usual fantastic display of showmanship in the UK. The tour is also timed to coincide with the release of a Motley Crue film based on the excellent Crue book The Dirt, also due in 2015. 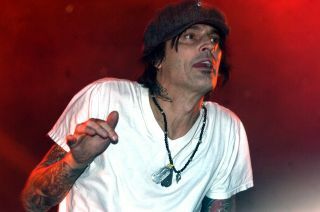 Of the announcement, Tommy Lee said: "Everything must come to an end!! We always had a vision of going out with a big f**king bang and not playing county fairs and clubs with 1 or 2 original band members! Our job here is done!!!"